The ebook includes helpful interviewing hints, frameworks, practice cases and more! 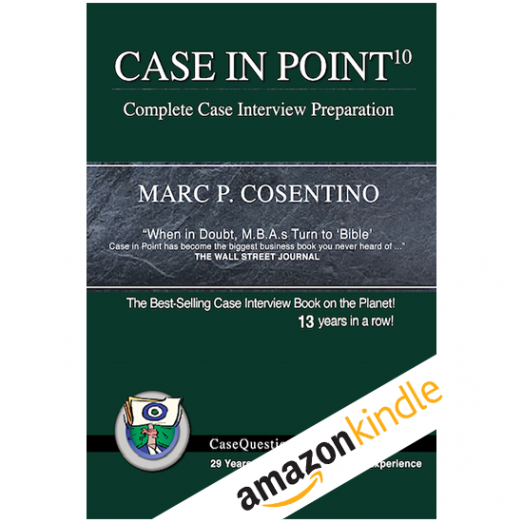 Cosentino demystifies the consulting case interview. He takes you inside a typical interview by exploring the various types of case questions and he shares with you a system that will help you answer today’s most sophisticated case questions.